A ground fault circuit interrupter (GFCI) can help prevent electrocution. If a person’s body starts to receive a shock, the GFCI senses this and cuts off the power before he/she can get injured. GFCIs are generally installed where electrical circuits may accidentally come into contact with water. They are most often found in kitchens, bath and laundry rooms, or even out-of-doors or in the garage where electric power tools might be used. 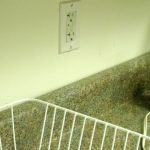 According to the National Electrical Code, a “ground fault” is a conducting connection (whether intentional or accidental) between any electric conductor and any conducting material that is grounded or that may become grounded. Electricity always wants to find a path to the ground. In a ground fault, electricity has found a path to ground, but it is a path the electricity was never intended to be on, such as through a person’s body. Because of this potential for shock, GFCI protection is used to protect human life. The GFCI will “sense” the difference in the amount of electricity flowing into the circuit to that flowing out, even in amounts of current as small as 4 or 5 milliamps. The GFCI reacts quickly (less than one-tenth of a second) to trip or shut off the circuit. What are the types of GFCIs? There are three types of GFCIs. The most often used “receptacle-type” GFCI, similar to a common wall outlet, is the type with which most consumers are familiar. Additionally, circuit breaker GFCIs are often used as replacements for standard circuit breakers and provide GFCI protection to all receptacles on that individual circuit. Temporary or portable GFCIs are frequently used in construction and in outdoor settings with electric tools, mowers, trimmers, and similar devices. They should not be used as a permanent alternative to a regular GFCI. Temporary GFCIs should be tested prior to every use. Many consumers don’t check their GFCIs to verify they are working. GFCIs are electronic devices that can be damaged or wear out. 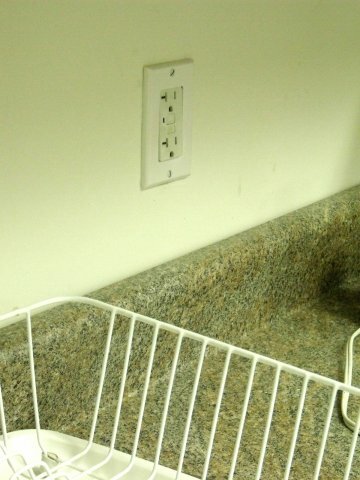 The electrical receptacle in a GFCI may continue to function, even if the GFCI circuit no longer works. If this is the case, have a qualified electrician replace it as soon as possible. GFCIs should be checked monthly to determine if they are operating properly. A portable GFCI should be used out-of-doors with various electrical power tools (i.e., drills, mowers, trimmers) and should be tested before each use! It is recommended that GFCIs be installed in areas where appliances and power tools are used in close proximity to water. Tap water or wet objects are able to conduct electricity very easily and can connect your body to a ground potential, thus increasing your chances of receiving a shock from a ground fault. Appliances that have built-in GFCI protection, as now required for hair dryers, may not need additional GFCI protection, but there are still many appliances not equipped with GFCI protection. What is nuisance tripping of a GFCI? How does a GFCI differ from an AFCI? Arc fault circuit interrupters (AFCIs) are safety devices for homes that provide enhanced protection from fires caused by unsafe home wiring conditions. AFCIs should not be confused with GFCIs. While both AFCIs and GFCIs are important safety devices, they have different functions. AFCIs are intended to address fire hazards; GFCIs address shock hazards.